We strive to provide a unique party experience for everyone, by decorating the ponies to match the party theme. 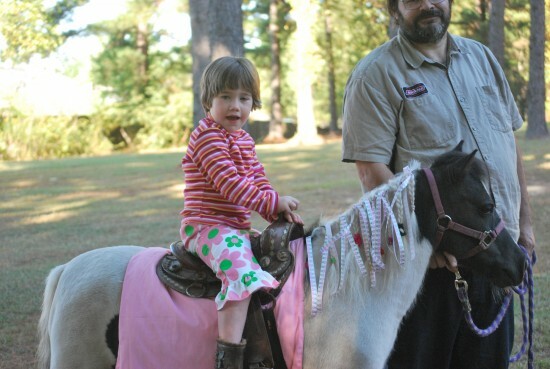 We will select ponies appropriate for the size & age of the children attending. Each pony will be led by a knowledgeable, caring and interactive adult. Our ponies have a rider weight limits that vary from 50-120 pounds. 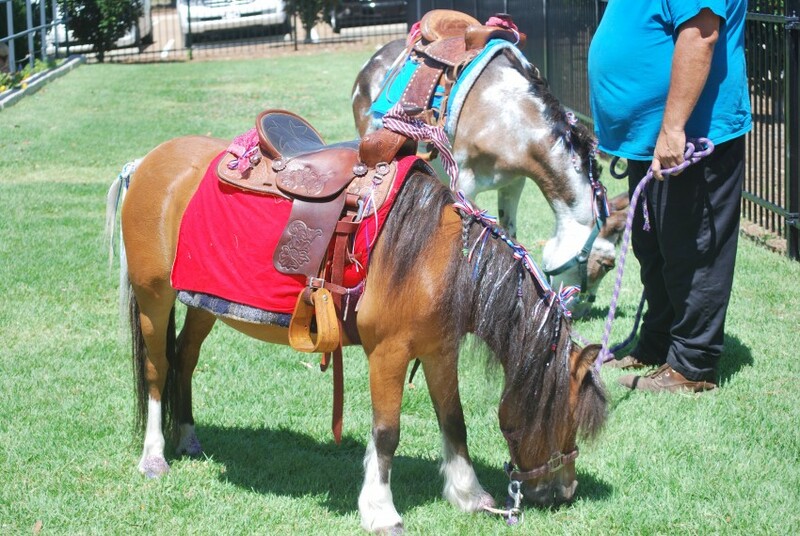 We choose the appropriate pony(ies) for your event. 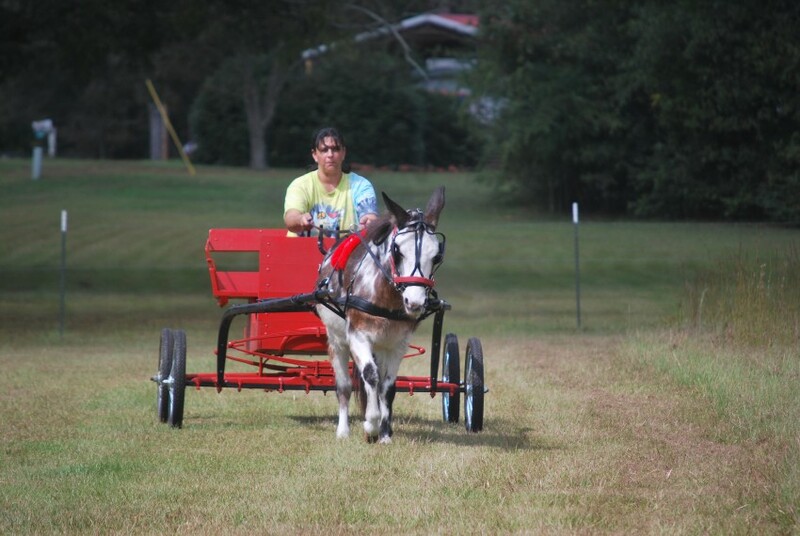 We also have a pony/cart option. Thank you we had a great time at Avery's party! It was the perfect addition to my sons cowboy birthday party. He absolutely loved it. Thank you! we had a grea ttime & we will definitely recommend your catering company! Great food & friendly staff! Event was cancelled due to weather and they were "perfectly" happy to reschedule. Looking forward to it! Thank you ! Pumpkin the Unicorn had a great time with the kids! Simply amazing! Nancy was so professional and sweet. The animals were so sweet and tame. We loved every minute of it! Thanks we had a great time! Made my daughters birthday amazing! We booked 2 ponies and they came dressed up matching the party's theme. They arrived early and all the kids had an amazing time! Will definitely be using them again for my second daughters birthday! Thank you! We had a great time & look forward to next year! 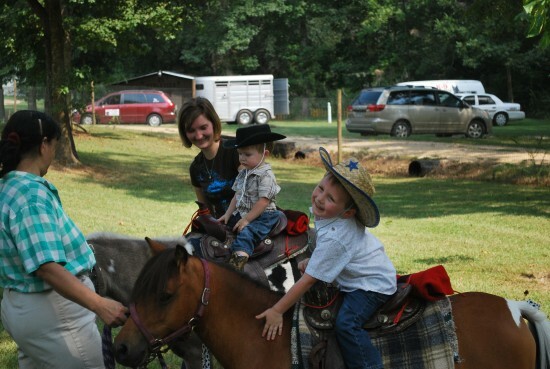 Perfectly Pettable Party Animals & Pony Rides was a great choice for our party. The set up nicely, the kids loved the animals and the pony rides. Very easy to work with and amazingly priced! Definitely would use them again in the future. Thank you we had a great time!! Kids had a wonderful time! Petting zoo was great and the pony rides were fantastic! Would definitely book again. Thank you for having us! we had a great time! Thanks so much ! We had a great time! We offer decorated ponies for a variety of events including birthdays, TV commercials, photo shoots and fundraising. 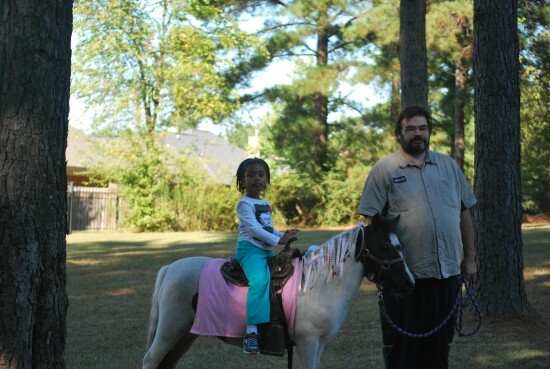 We occasionally do large events and we do rent ponies for live nativity. Our ponies are individually led by responsible adults and the number of ponies is dependent on the individual needs of the client. We arrive early to set up and always clean up after our ponies! We are a small Pony party company specializing in decorated ponies for Birthdays, Photo shoots, TV commercials, fundraising and other events. Our ponies are hand led by responsible adults. Fully insured with 30 years of horse experience. We are based in Hattiesburg MS and travel up to 100 miles in any direction. We require space to park our 22' bus .please take into account low wires, low entrance gates, & narrow roads. We do have another smaller vehicle that can carry one small pony & a few petting animals or just the petting farm, for smaller events.